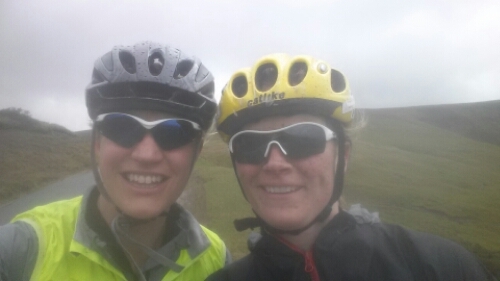 Pam and I foolishly did the 67 mile ride today from Hay on Wye around the hugest hills in Herefordshire, Monmouthshire and Powys. It was fantastic, despite being driving rain and lack of preparation. 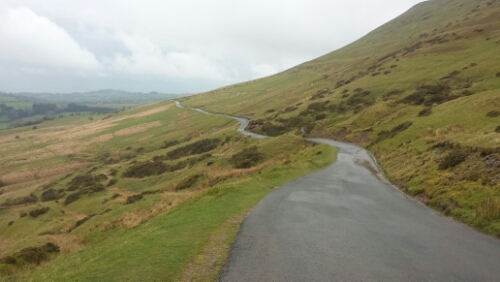 The views in the last few miles down from the Gospel pass (highest road in Wales) were phenomenal.